It’s no secret that LA traffic is where you’re NOT tryna be. After an unfortunate, fatal tanker truck crash at 5:30 AM, LA drivers were stuck in never ending traffic. 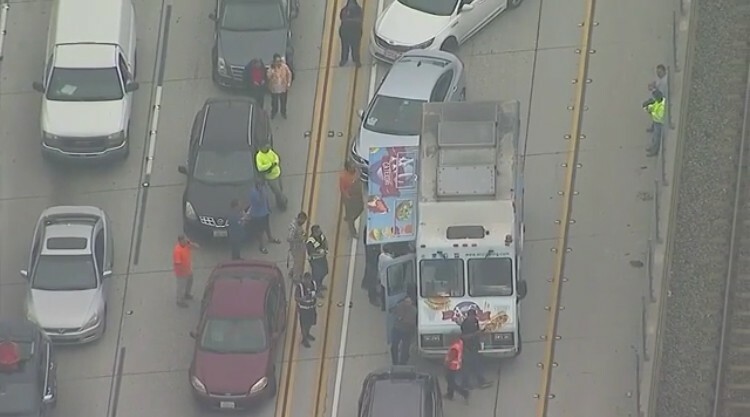 With that being said, a food truck was also stuck in the traffic, and decided to open its doors and sell some food to the drivers at half price. As you can see in the clip, drivers parked their cars (not like they really had a choice), walked out, and lined up for some food. FOOD ON THE FREEWAY: Drivers on the 105 in Hawthorne were stuck in gridlock traffic after a fiery, fatal tanker truck crash — so, a food truck opened up shop right on the freeway lanes, feeding drivers at half price. Click the link in our bio for the full story. This was probably a blessing in disguise for the food truck driver as he probably made a decent amount of money, seeing that majority of the drivers probably hadn’t had breakfast during those hours anyway!